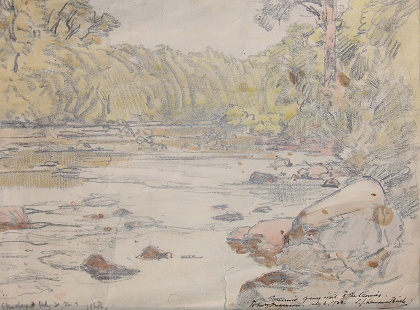 Inscribed "Glenalmond July 2 '33" and signed with initials in pencil, lower left. Also inscribed "Souvenir of my visit to the Cairnies. To Mrs Anderson July 2 1933. S J Lamorna Birch" in black ink, lower right. Small tear, bottom centre. (Cairnies was one of the the 5 Houses at the then Trinity College, Glenalmond, the boys' public school, now Glenalmond College). 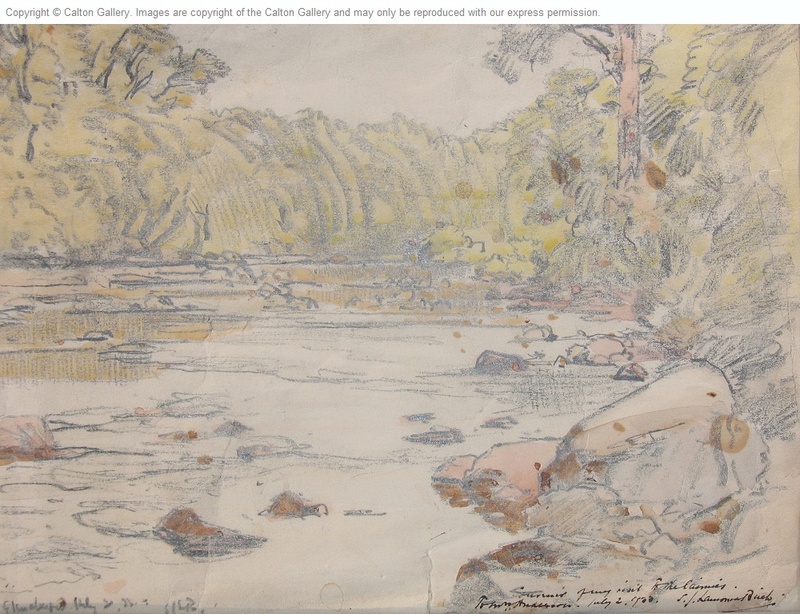 Painter in oils and watercolours of landscape, noted for his paintings of fishing beats; his watercolour scenes of Scottish rivers are especially prized. Lived and worked at Lamorna, near Newlyn.